1 Preheat oven to 230°C (450°F). 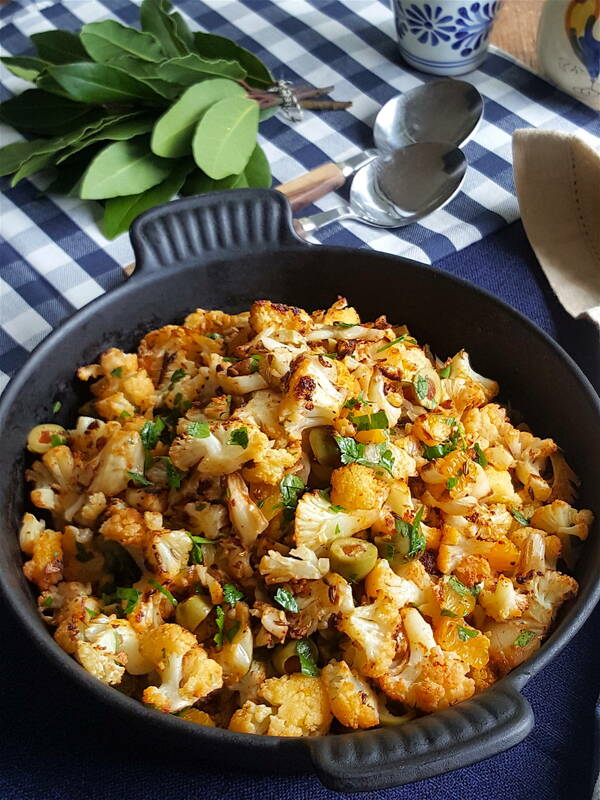 Remove one-quarter of the core from the cauliflower, and coarse leaves. Chop florets coarsely, but smallish, and place in a large shallow roasting tin lined with baking (parchment) paper. Drizzle with oil, sprinkle with fennel seeds and salt and sift the paprika over the top using a fine sieve. Bring in the edges of the paper to gently toss the ingredients together. Use the paper to help toss the ingredients together. 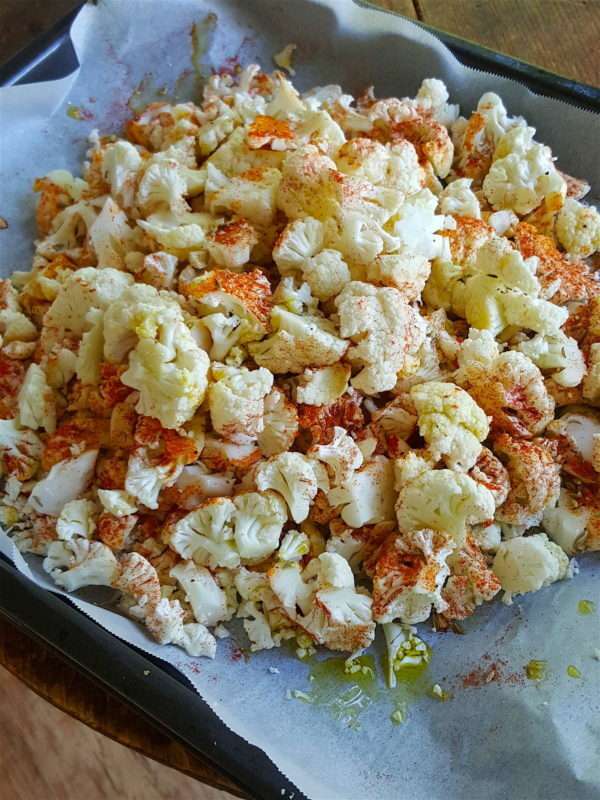 2 Bake cauliflower for 15 minutes, Remove tin from oven, toss gently, then return to oven and cook for a further 15 minutes, or until tender and browned around the edges. Cool, uncovered, for 15 minutes. 3 Gently stir in mandarin or tangelo segments and olives. Grind over a little pepper and sprinkle with chopped parsley. Serve immediately, or at room temperature.